Valavor and Tomahawk are copyrighted to thier owners. 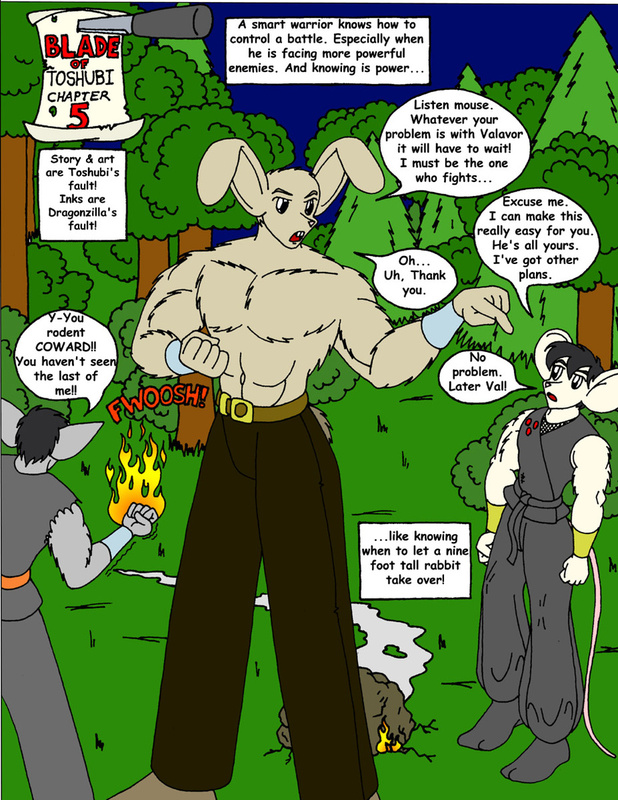 Personally, I have never, ever picked a fight with a nine-foot tall rabbit. I have no intention of picking a fight with a nine-foot tall rabbit. And if his name isn't Harvey, I think I'll just run like a scared woofie and get my tail out of there! I might pick a fight with a nine foot tall rabbit, but only if he really ticked me off. However in this case I have no battle with him and see no reason to start one. I would request a coin toss with him though to see who goes after the other guy first as a matter of principle since I was just attacked. I also would most likely try to let the rabbit win the toss.